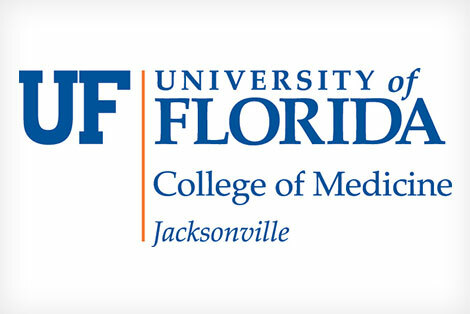 Welcome to the website for the Department of Emergency Medicine at the University of Florida College of Medicine – Jacksonville. We provide emergency care for over 90,000 patients each year. Special programs are available in trauma, toxicology, pediatric emergency medicine, emergency critical care, international medicine, simulation training, field operations and health and wellness. The department plays an integral role in the education of University of Florida residents, fellows, medical students and physician assistant students. We are home to one of the largest and oldest emergency medicine residencies in the nation and an excellent pediatric emergency medicine fellowship. These training programs are supported by faculty with a vast array of expertise and are leaders in the field of emergency care. We are a major receiving site in the region for all areas of resuscitative care including cardiovascular emergencies with a robust STEMI treatment program, neurologic emergencies as a leading regional stroke center, as well as post-resuscitative care and sepsis management, all with well-defined comprehensive multi-disciplinary team management that is initiated by our emergency specialist. We work closely with the UF College of Medicine – Jacksonville department of surgery’s trauma surgeons to staff the UF Health Jacksonville Level 1 trauma center which treats over four thousand trauma victims each year. Aeromedical services are provided by three air ambulances. Our research program is well established and produces a significant contribution to medical literature each year. Significant focus is placed on the areas of patient safety, emergency critical care and educational research in the form of simulation training. Our campus simulation training center is one of the largest in the country and includes a separate and completely functional Emergency Department, Operating Suites and over forty high fidelity training manikins. We are also involved in exciting field operations with with previous involvement with NASA shuttle launches and continued collaberation with local sheriff SWAT teams, and various mass-gathering events in North Florida. The North Florida climate and the city of Jacksonville provide a wonderful background for these actives and expanding training programs. We invite you to explore our site further.